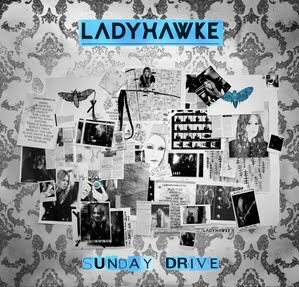 It’s been a busy few days on the site for Ladyhawke fans, with the singer’s new single ‘Sunday Drive’ hitting media over the weekend, her national tour (sorry Brisbane) announced this morning and the video for her new single also dropping earlier today. We love ourselves a little sunny Sunday drive, but we’re almost certain that this isn’t quite the kind of Sunday drive Ladyhawke would find overly stimulating or relaxing. You see, she’s got herself a stalker. The kind who’s following her in the street, taking photographs from hidden locations, tracking her every move. So with this amount of crazy stalking going on, Pip does what any normal person would do… She takes a walk in the woods completely solo. Surprisingly, that proves to be her downfall, as she’s snatched and taken on said ‘Sunday Drive’. Luckily she finds time to lay down a track for her excitable (non-stalkerish) fans in the lead-up to to the release of her new album ‘Anxiety’, our May 25.